Matching Shot is one of the most important skills that professional colorists should be familiar with. It should be noted that Shot Match isn’t used for making a clip look nice, but for making them look the same as the clip you select to match to, or as close as possible without generating a color correction harming the picture. In this article we are going to discuss a few tips and tricks about using Shot Match in DVR. 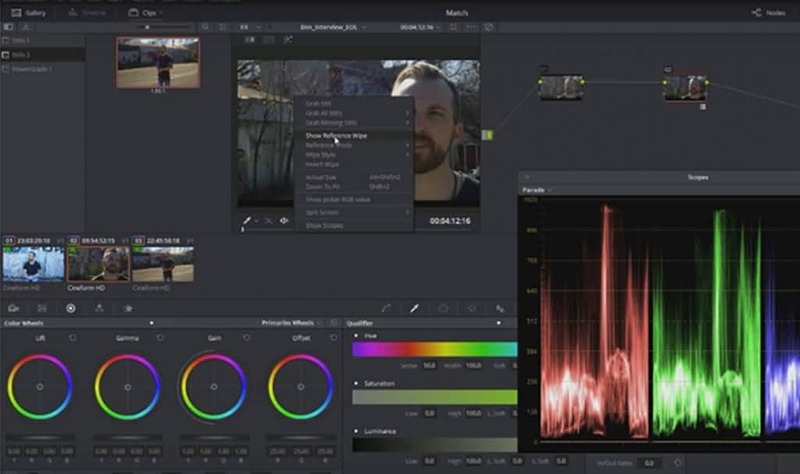 DaVinci Resolve is for professional video editors, it is not easy to start with. So, we recommend you Wondershare Filmora, an easy to use yet powerful enough video editor to start your video editing. It is for both Mac and Windows users with not only the basic video editing features but also advanced tools and splendid video effects. Download and try now. While working with Shot Match you should ideally use normalized clips. In case you have log encoded clips then you need to normalize all of that by using DVR Color Management before using Shot Match. Though it is possible to use Shot Match with long encoded clips but the result isn’t going to be spectacular. Do not use Shot Match for matching a log encoded clip using various kinds of log encoding like Log C or RedLogCine. Restrict yourself to using just the basic adjustments of Gamma/Gain/Lift. Be practical about the kind of clips you choose to match each other. Try not using Shot Match on images which have similar lighting. Remember that Shot Match is a tool used for matching clips which are no way similar. Use Shot Match an angle at one time and always perform a test before starting to match a number of clips. For example, if you have a clip with Angle A, Angle B and Angle C and you want to match it with Angle C since it has optimum lighting then you first need to match a single shot from Angle B to the best shot from Angle C and check if the result is to your liking. This would help to save your time and obtain a better result. When you are dealing with various clips which have been captured on different models of Blackmagic camera like BMPC 4K and BMPCC by making use of the BMD Film log more then the first thing you need to do is apply the free BMD film to Rec 709 LUT. After using the LUT the differences between the captures would appear more clearly. You need to begin with a primary grade of any one of the provided clips. In the next step you will be needed to match the rest of the clips with that of the 1st shot. This is another manner of setting the tone for obtaining a more consistent look of the entire production. While applying LUT the shadows, highlights and mid tones need to be balanced and the contrast and saturation has to be tweaked. After completing the primary grade, you need to grab a still and use it as a reference. While doing this, you have to change to the other capture by right clicking on the Viewer and then choose Show Reference Wipe. This will show you the newly created still so that you can compare the clips side-by-side easily. Moreover, you will be able to see all the visible differences between the 2 shots so that you can match them as closely as possible.